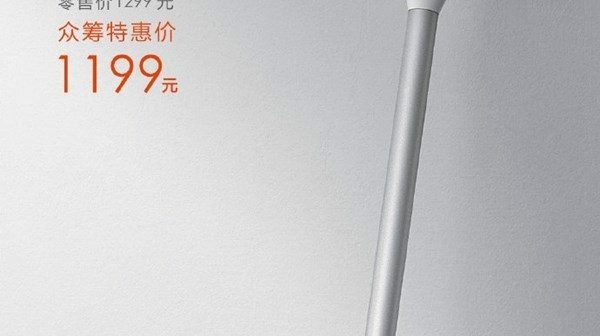 Xiaomi Mijia officially released its first handheld Wireless Vacuum Cleaner, this Mijia wireless vacuum cleaner is mainly equipped with a large suction, equipped with four types of brush heads, covering multiple scenes, and optimized for one-handed use, Maintain a lightweight design. 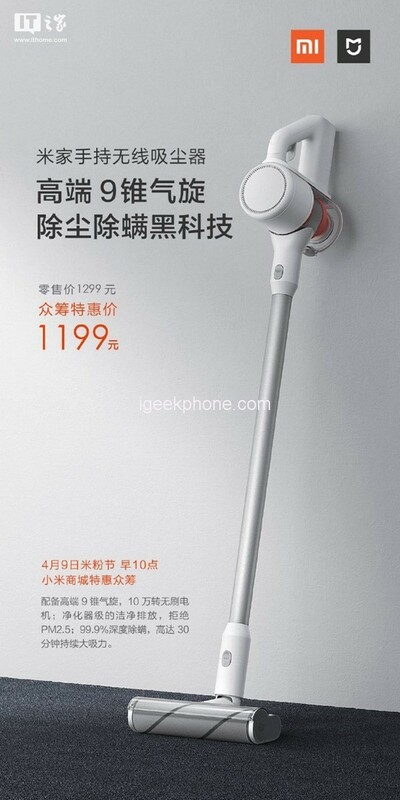 The Mijia handheld wireless vacuum cleaner is priced at 1,299 yuan ($193.40), the rice noodle festival is only starting at 1199 yuan ($193.40 ), and the crowdfunding is started at 10 am on April 9. According to the poster, the Mijia handheld wireless vacuum cleaner uses a high-end 9-cone tornado cyclone design, and 9 small tornadoes respond to micron-sized particles to maintain constant suction. It adopts a large suction force of 100AW, equipped with a 100,000-rpm brushless variable frequency DC motor and a high standard static pressure of 23 kPa. Mijia handheld wireless vacuum cleaner refuses PM2.5, adopts 5-fold filter dust-removing system, pure purifier level discharge, firmly locks 99.97% of dust to avoid secondary pollution. The Mijia handheld wireless vacuum cleaner is equipped with four brush heads, which can absorb the ground, bed mattress, car interior, keyboard, etc., and adapt to the common cleaning scenes in the whole house. Mijia Handheld Wireless Vacuum Cleaner has a battery life of 30 minutes, full of electricity, can clean 160 square meters large apartment. In addition to the motor and electric brush head, all can be washed.